Welcome to another Magic the Gathering Commander / EDH deck tech video! Today’s episode features Alex’s “Aminatou, the Fateshifter” top-deck matters & flicker deck. Feel free to leave a comment below, and subscribe if you want to see more! 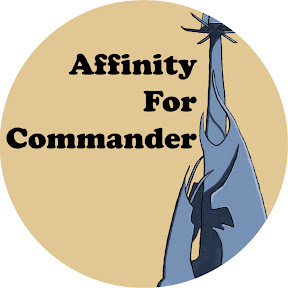 Affinity for Commander is unofficial Fan Content permitted under the Fan Content Policy. Not approved/endorsed by Wizards. Portions of the materials used are property of Wizards of the Coast. ©Wizards of the Coast LLC. Music: Cosmo World– Nicolai Heidlas.